One of the few things I love about Bangsarbabe.com is the support I receive from L’oreal Professionnel when it comes to haircare. 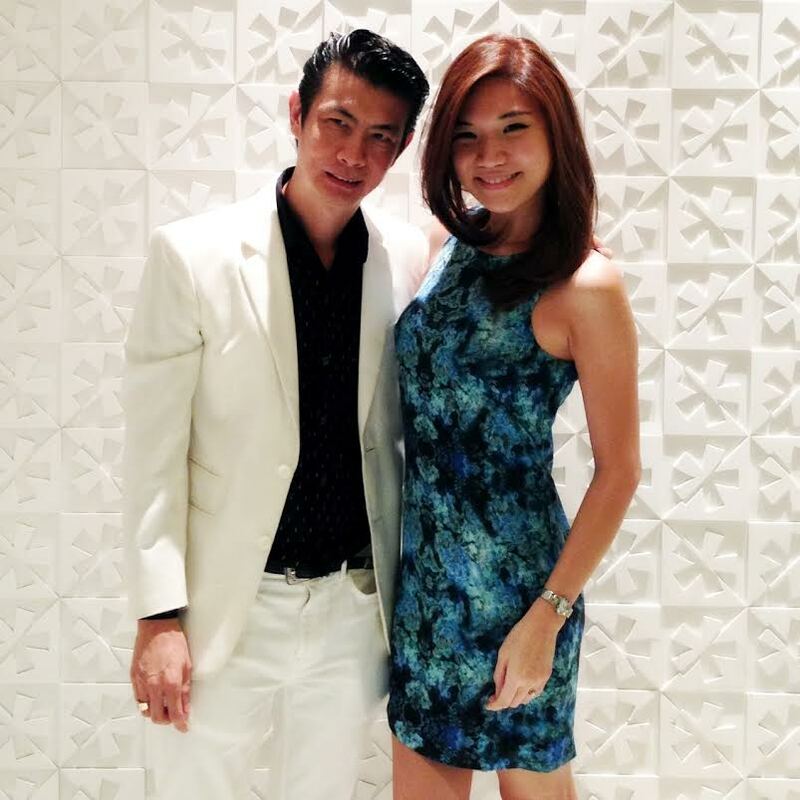 My hair is managed byL’oreal Professionnel’s artistic ambassadors, including the renowned Miko Au of Miko Galere. 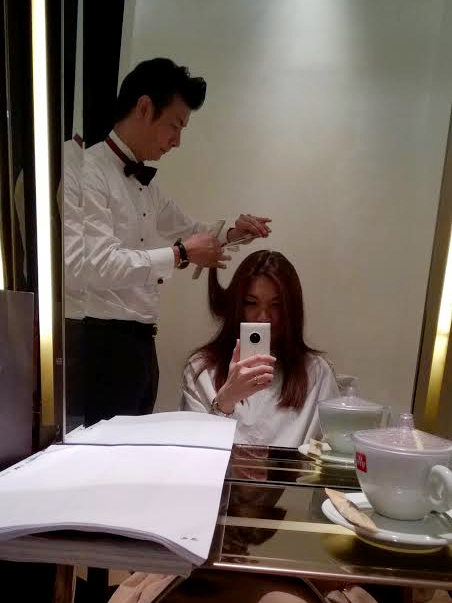 Each time I’m there, he always makes sure I feel comfortable and that my hair is given their utmost care. He’s very accommodating and according to my guy friend who is equally particular about hairstylists, Miko is one of the best in town. I don’t doubt that, for he does wonders for my hair too! 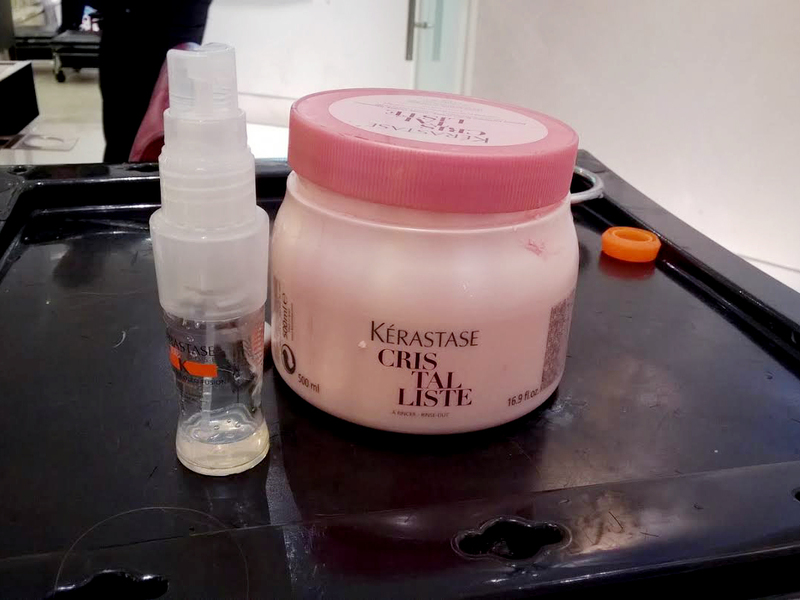 Despite my London trip being so close to Chinese New Year, he still accommodated my request to touch up my roots, and just three days before I fly, a Kerastase Cristalliste hair treatment to ensure I look my best. These products are free of silicon, paraben and colourants, and very nourishing for long hair like mine. The treatment took about an hour, where my hair feels and looks softer and healthier. It was much needed, as my hair was beginning to feel dry after constant styling for photoshoots. 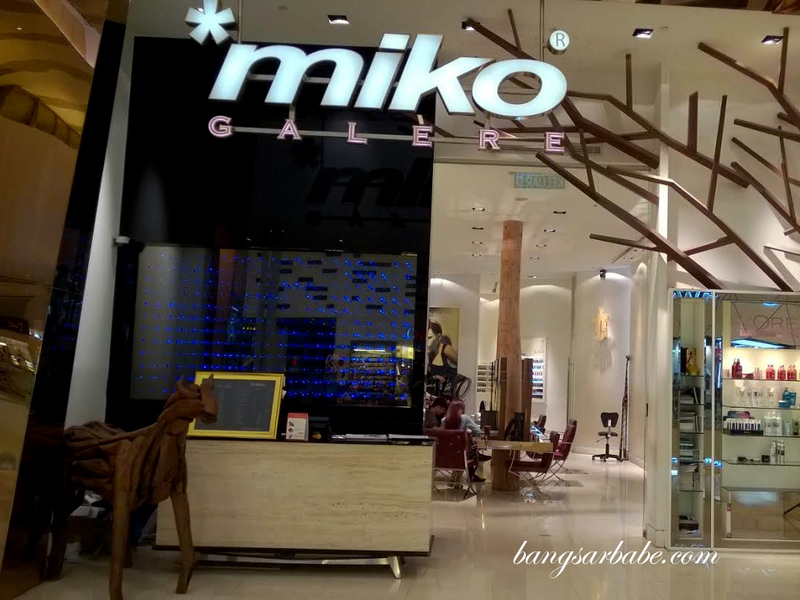 What I love most about Miko Galere is the service – they make you feel good the moment you step in. Each customer is promptly greeted, seated and attended to by their respective stylists. That alone, makes me look forward to my visit to Miko Galere. 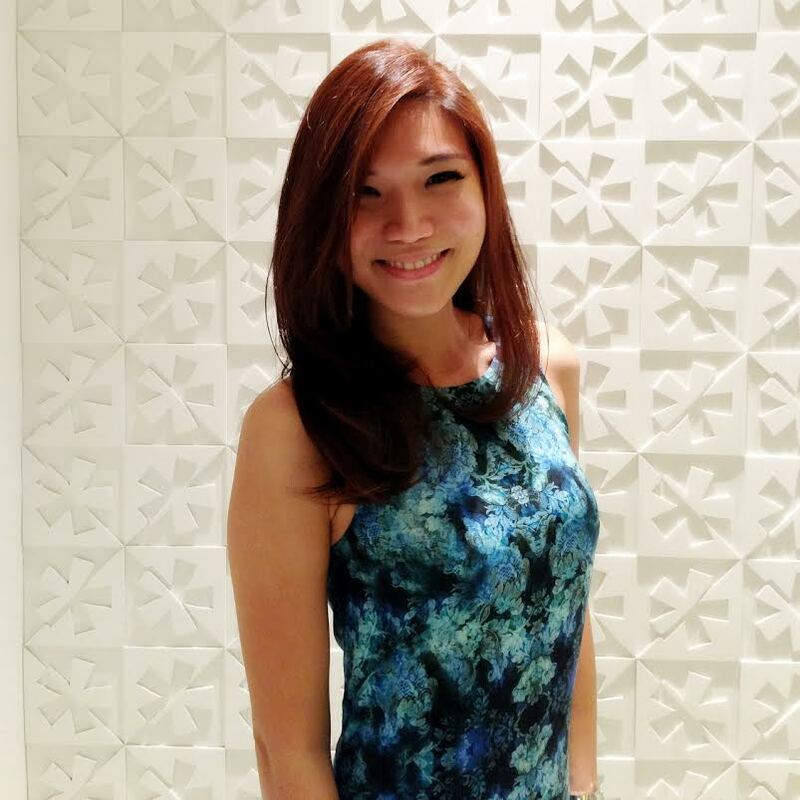 Hair colour touch-up and treatment — love the bounce!